Your trusty old SBS 2011 is finally being retired. It had a good run. It probably still works but you cant get the parts, and the cloud is so appealing and for whatever reason you have, you are putting in a new on premises DC. Hey, you don’t have to justify it to me. 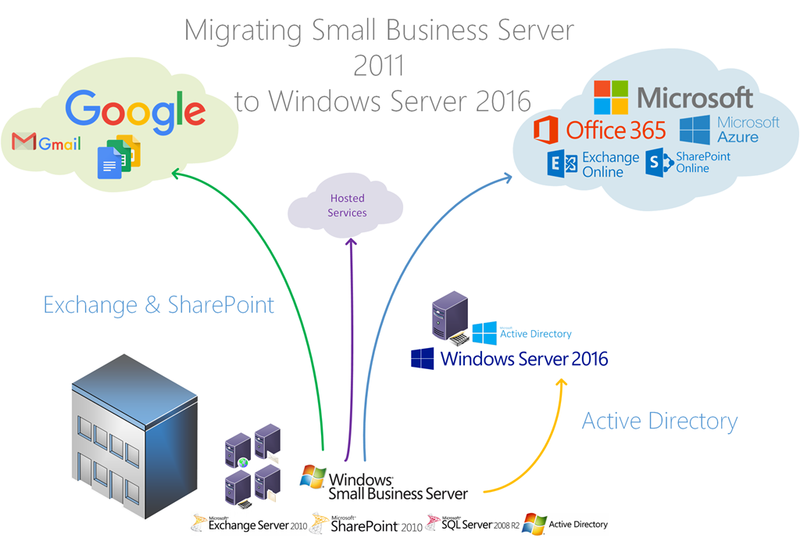 Chances are you shipped Exchange off to the cloud long ago, your clients never really ‘got’ SharePoint and SQL was just used by the backup software and WSUS. Microsoft published a helpful blog post and table of the various Client OSs supported by the various Essentials Server versions, and any known issues or workarounds required to get them to work. I just want to focus on Windows 10 and in a little more detail. In this post we will just be looking at Windows 10 and SBS 2011 Essentials. I have a new client who migrated to SBS 2011. They run some shipping label software that FTP’s information down from a server online to a local database on the server. It used to run on a Server 2003 member server, but part of the migration was to move this onto the SBS 2011 box. The company who support the software did the transfer, but when the software stalled when trying to ftp in, they had exhausted their knowledge and were out of ideas.